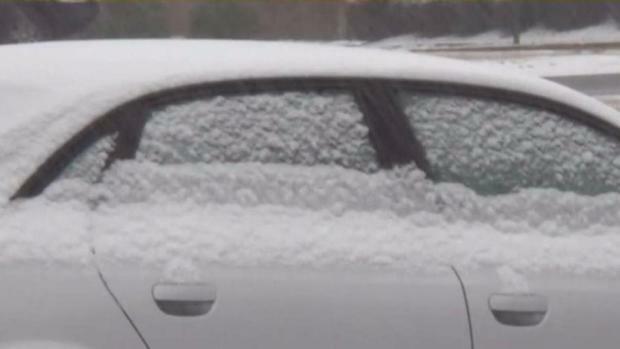 Time lapse video shows Wednesday's snow squall hitting New York city and completely coating the camera in snow. A snow squall brought blinding snow and strong winds to a large swath of the tri-state area Wednesday afternoon, briefly causing whiteout conditions as snow fell at rates in excess of an inch an hour. The National Weather Service issued a snow squall warning for all five boroughs of New York City and much of the rest of the region, including a number of New Jersey counties and Fairfield County in Connecticut. Click here for all severe weather alerts. Know what it is so you can be prepared. Get full details from Storm Team 4 here. A squall is a brief burst of heavy snow, strong wind gusts and reduced visibilities that sometimes accompanies passage of a cold front. In this case, it was expected to hit much of the tri-state area -- likely between 3 p.m. and 4 p.m. Think of it like a line of thunderstorms moving across the region in the summer. The squall was only expected to last about 15 to 30 minutes in any one spot, but Storm Team 4 warned that it could cause major issues ahead of the evening commute. 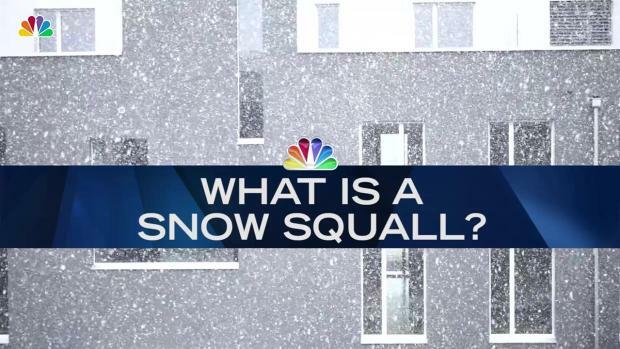 NBC 4 has team coverage on chilly weather and snow bound for the tri-state. Brian Thompson, Ida Siegal and Andrew Siff report. Meanwhile, wind chill warnings and advisories have been issued for much of the tri-state area Wednesday night into Thursday ahead of an arctic blast that will send temperatures into the teens, though it will feel like well below zero. The dreaded arctic air mass arrives in the tri-state area late Wednesday, and will blast the region with frigid temps and dangerously cold wind chills overnight and through Thursday. Temperatures will dive into the single digits in and around the city overnight, falling below zero across many of the northwestern suburbs. By the time people wake up Thursday morning, it'll feel like 20 below, courtesy of the biting winds. Even though partly sunny skies are expected Thursday, highs will only be in the 10s with wind chills staying well below zero throughout the day, Storm Team 4 says. The weather improves slightly on Friday, bouncing back up to a comparatively balmy 24 degrees, then should rise above freezing Saturday and soar to near 50 degrees on Sunday as the temperature roller coaster continues.